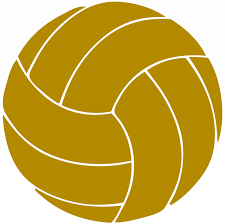 Coach Sarah Hendricks’ Penn volleyball team improved to 18-1 with a convincing 25-15, 25-16, 25-15 victory against Northern Lakes Conference power Elkhart Memorial on Thursday, Sept. 22. Rachel Hickey soared at the net for 17 kills to lead the Kingsmen. Italia Field had 11 kills, and Jenn Heritz and Maria Schwindaman had 9 kills each as the Kingsmen unleashed a powerful net game against the Crimson Chargers. Naomi Willis dished out 43 assists. Sophia Cruz had 16 digs. Penn will play in the challenging Indianapolis Cathedral Tournament on Saturday. Penn’s Junior Varsity swept Elkhart Memorial 25-18, 25-15. Ali Hickey had 7 assists and 3 kills, and Peyton Wheeler had 3 kills. Ryleigh Langwell had 5 digs. Penn’s JV is 15-1 and plays in a tournament at Hobart on Saturday. It was a clean sweep for the Kingsmen, as Penn’s Freshmen beat Elkhart Memorial 20-25, 25-20, 15-10. Tricia Buckey had 9 kills, and Ali Moore had 7 kills and 18 digs. Hannah Lovisa had 17 digs. Right-side hitter Baylee Riester had 6 kills, 2 assists, and 3 digs.